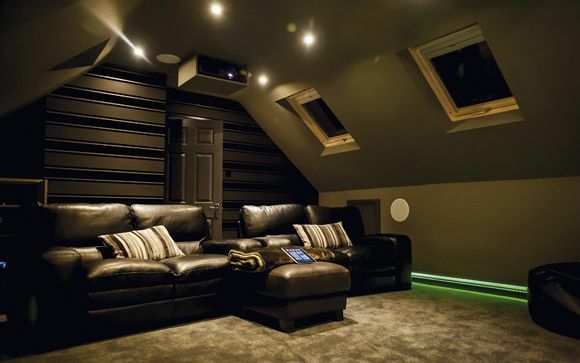 Where is your home cinema from? While speakers and even amplifiers designed for discerning domestic theatre owners often come from specialist boutique brands, the centrepieces – the TV screen, the projector and the Blu-ray player – almost always hail from East Asia. Panasonic, Sony, Toshiba, Epson and Sharp were birthed in Japan, and Korea's LG and Samsung have been busy chipping away at their dominance for the last decade. We’ve been harping on about 4K content ever since 2160p panels first broke cover, and now it seems 8m-pixel movies, in the shape of a UHD upgrade to the Blu-ray standard, are in sight. While the Blu-ray Disc Association (BDA) continues to play some cards close to its chest, it’s confirmed a pre-Xmas 2015 debut for 4K Blu-ray has been scheduled. It’s a curious fact that even the smartest TVs can seem inscrutably dumb. So much so that many buyers fail to even get them online. Even if you’re tech savvy, Smart TVs often seem little more than utilitarian devices.